Looking for something to do in the Alta community? 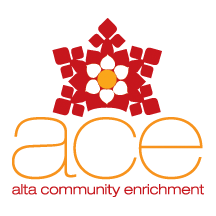 You can always find interesting opportunities in Little Cottonwood Canyon through Alta Community Enrichment (ACE). Check out their website at altaarts.org. ACE is a nonprofit aimed to promote learning and create opportunities for individual and group participation in arts, cultural events and education. This month they have put on live music every Sunday night at the Peruvian. They just finished a backcountry 101 Avalanche course for Alta business employees. On Friday January 20th, ACE presents Eric Foxman at Our Lady of the Snow at 6:30. He is a member of the Portland Storytellers Guild and will humor and inspire you with his true stories collected from around the world. Also, don’t miss out on National Geographic’s explorer Mike Libecki. This is his 18th annual presentation on his adventures around the world to some of the most remote, exotic locations. This event is also a fund raiser for The Humane Society and Nepal Earthquake Fund/Human Outreach Project with a massive raffle of gear and clothing for the benefit. Hope to see you there!